Review of David B. Dennis’ Inhumanities. Nazi Interpretations of Western Culture (Cambridge: Cambridge University Press, 2012), in Reviews in History. Review of Anne C. Nagel’s Hitlers Bildungsreformer. 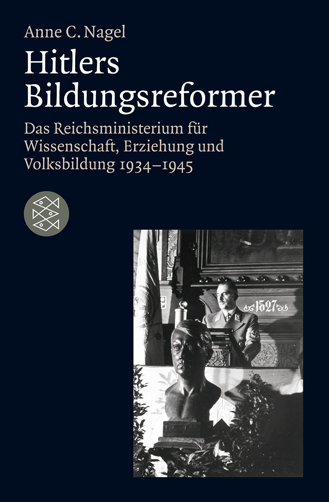 Das Reichsministerium für Wissenschaft, Erziehung und Volksbildung 1934-1945 (Frankfurt am Main: Fischer Taschenbuch, 2012), in Reviews in History. 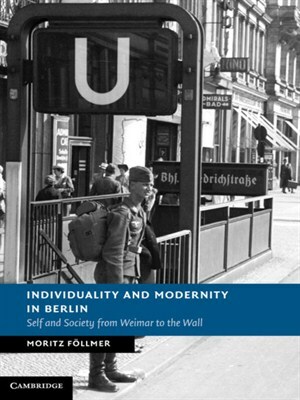 Review of Moritz Föllmer’s Individuality and Modernity in Berlin: Self and Society from Weimar to the Wall (Cambridge: Cambridge University Press, 2013), published in the Book Reviews section of the Wiener Library Blog. 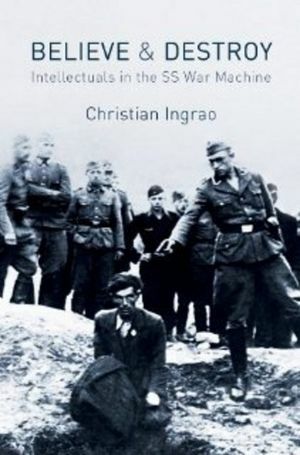 Review of Christian Ingrao’s Believe and Destroy: Intellectuals in the SS War Machine (Cambridge: Polity Press, 2013), published in the Book Reviews section of the Wiener Library Blog. 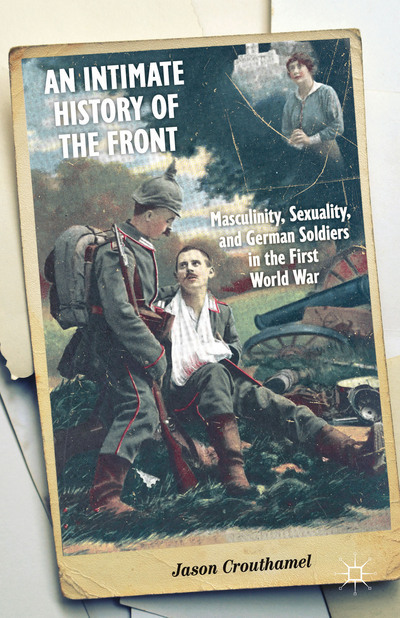 Review of Jason Crouthamel’s An Intimate History of the Front: Masculinity, Sexuality, and German Soldiers in the First World War (Basingstoke: Palgrave Macmillan, 2014), in Reviews in History. Review of Damian Valdez, German Philhellenism: The Pathos of the Historical Imagination from Winckelmann to Goethe (Basingstoke: Palgrave Macmillan, 2014), in Journal for Eighteenth-Century Studies 40 (1), March 2017, pp. 138-9.
Review of Contested Commemorations: Republican War Veterans and Weimar Political Culture, by Benjamin Ziemann (Cambridge: Cambridge University Press, 2012), in The English Historical Review 131 (553), December 2016, pp. 1569-71.
Review of Daniel M. Knight, History, Time, and Economic Crisis in Central Greece (New York: Palgrave Macmillan, 2015) and Sheila Lecoeur, Mussolini’s Greek Island: Fascism and the Italian Occupation of Syros in World War II (London: I.B. Tauris, 2015), in Reviews in History. Review of Thomas Adam’s Philanthropy, Civil Society, and the State in German History, 1815-1989 (Rochester, NY: Camden House, 2016), in the Modern Language Review 112 (3), July 2017, pp. 738-40.
Review of Johanna Hanink’s The Classical Debt: Greek Antiquity in an Era of Austerity (Cambridge, MA: Belknap Press of Harvard University Press, 2017), in Reviews in History. Review of Wilhelm Müller und der Philhellenismus, edited by Marco Hillemann and Tobias Roth (Berlin: Frank & Timme, 2015), in German Quarterly 90 (4), Fall 2017, pp. 496-7.
Review of Erika Fischer-Lichte’s Tragedy’s Endurance: Performances of Greek Tragedies and Cultural Identity in Germany since 1800 (Oxford: Oxford University Press, 2017), in The Classical Review 68 (1), April 2018, pp. 274-6.
Review of Making Prussians, Raising Germans: A Cultural History of Prussian State-Building after Civil War, 1866-1935, by Jasper Heinzen (Cambridge: Cambridge University Press, 2017), in German History 35 (3), pp. 454-6. On George Eisen’s Children and Play in the Holocaust (1988); Nicholas Stargardt’s Witnesses of War: Children’s Lives under the Nazis (2006); Heidi Rosenbaum’s “Und trotzdem war’s ’ne schöne Zeit”: Kinderalltag im Nationalsozialismus (2014), and Bastian Fleermann / Benedikt Mauer (eds) Kriegskinder: Kriegskindheiten in Düsseldorf 1939–1945 (2015).